This week I started a month long tour of India and Bhutan. One of the main objectives of this trip is to seek out beautiful, interesting and decadent experiences to share with my customers. After a brief stop in Delhi, the journey began by touching down in Jodhpur, Rajasthan’s resplendent blue city. 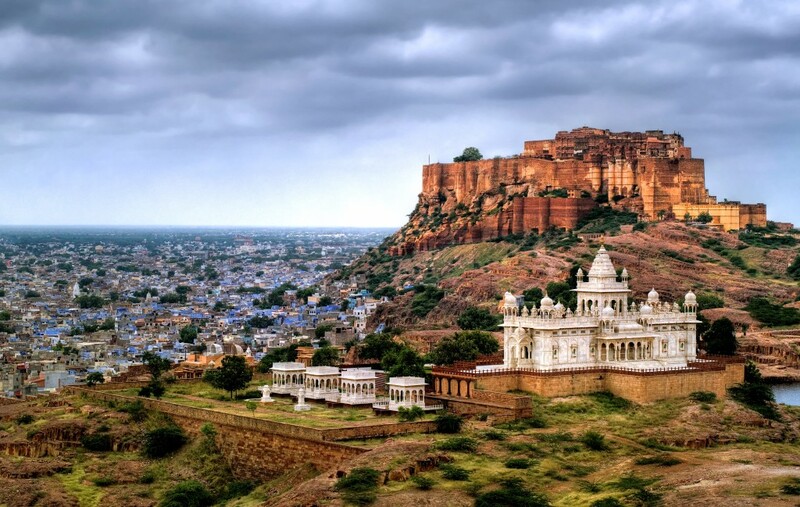 Most famous for the Mehrangarh Fort, one of India’s largest forts, it overlooks this regal city. But, just south east of the fort is where royalty lies, literally. The Taj Umaid Bhawan is the official home of the Maharajah and his family, and was also my home for a couple of nights. 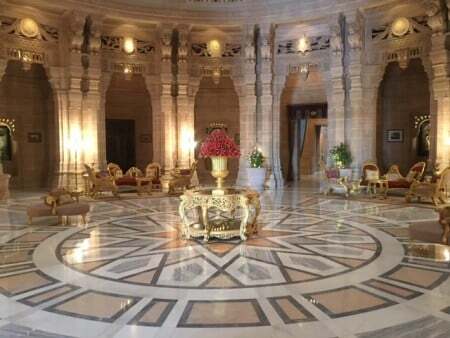 While the palace is the sixth largest private residence in the world, part of it has been converted into a luxurious hotel by the Taj Group. 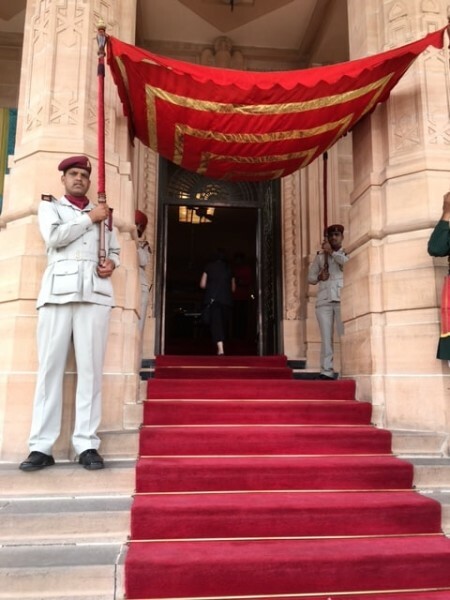 The Art-Deco palace was built by Henry Vaughan Lanchester, and is sumptuously decorated both inside and out. History and architecture buffs can hear all about the inspiration behind each aspect of the architecture in a daily tour of the property. 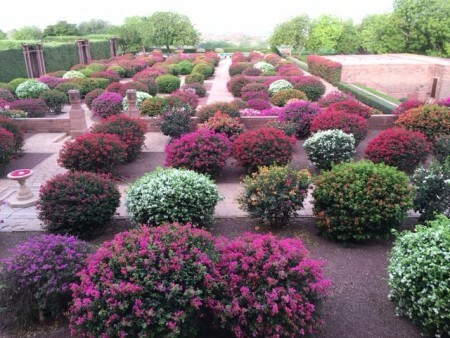 I particularly enjoyed exploring the lush grounds, filled with brightly flowered bushes that were meticulously maintained. It’s no wonder that this property is ranked the #1 hotel on Trip Advisor. While it was hard to leave this lovely property even for just a few hours, we decided to spend a day exploring the desert by jeep. Our trusty 4×4 took us deep into rural Rajasthan, away from the crowds and the tourist vendors to see the real countryside. 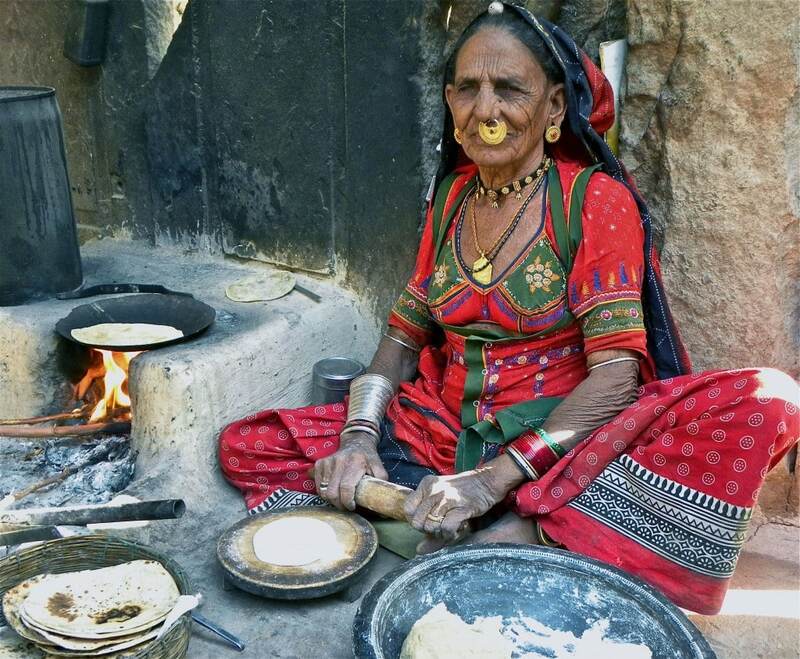 Like explorers, we drove over dry riverbeds, through remote towns and even visited a local Bishnoi home and had hearty home-cooked vegetarian thali. While the desert is sparse, it’s far from bare, there are many animals that call it home. 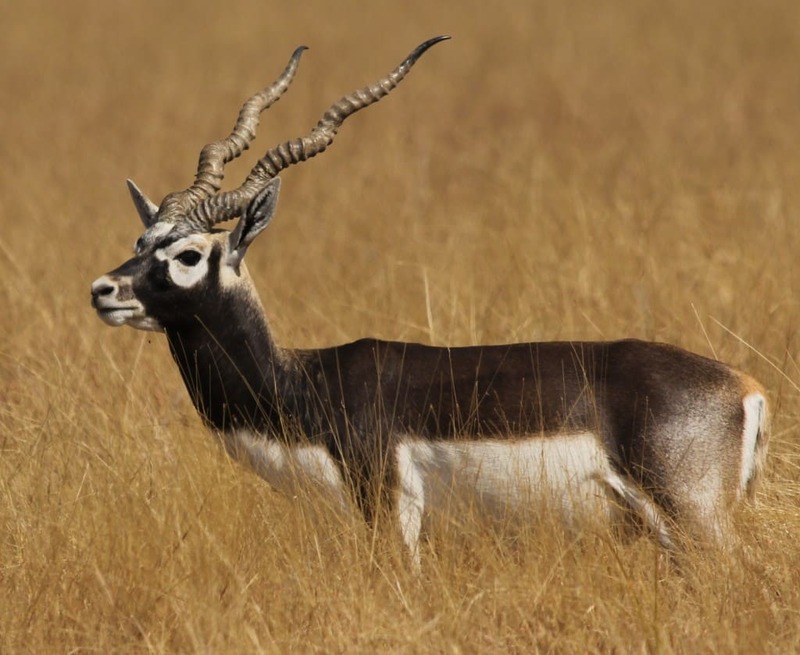 We were fortunate to seem some in their natural habitat including a desert baby fox, blue bulls and black bucks. It was just us and the great outdoors. Returning to the Taj Umaid Bhawan, we were greeted again by the beautiful grounds, and that very comfortable peacock head bed. The next stop was Nagaur, in the region of Jodhpur. 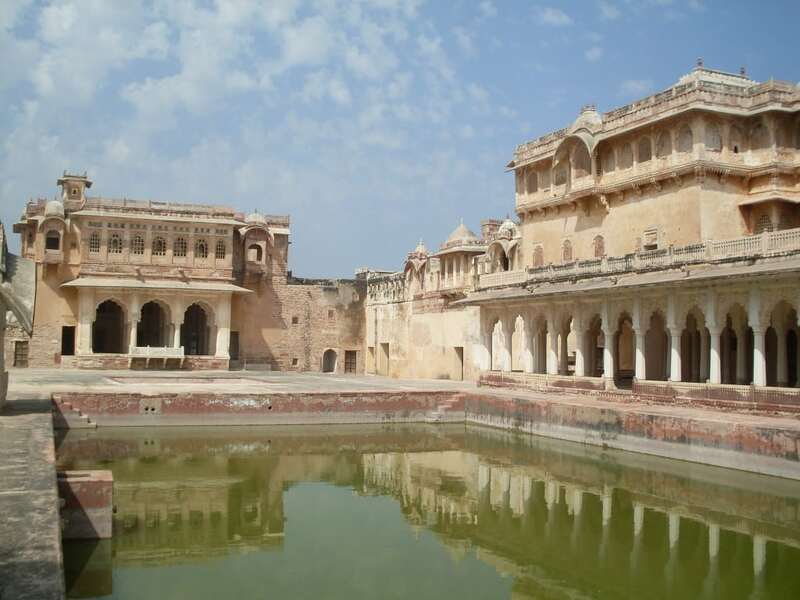 Our resting place for two nights was the abode of the queens, Ranvas. 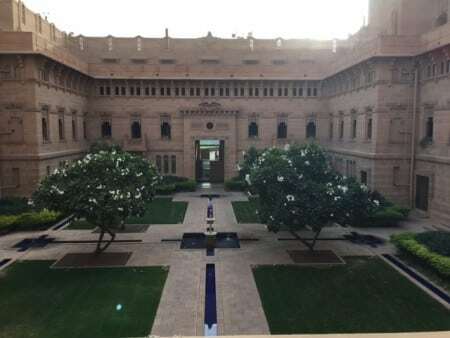 Set within Nagaur Fort, also known as Ahhichatragarh Fort, this heritage hotel was once home to the sixteen Ranis (Queens) of the Maharaja Bakhat Singh of Jodhpur. 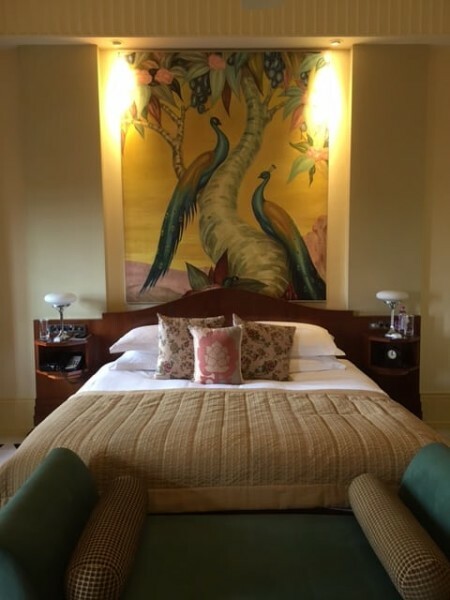 The property was designed as a hideaway, a place for the Maharaja and his consorts to escape the trials and tribulations associated with ruling. Every aspect of the property evokes a sense of escapism; from the detailed frescoes that decorate the walls, to the soothing fountains and waterways that line the gardens. This grand property has delicately balanced its heritage features with comfort, a feat which saw it awarded a UNESCO honor for combining modern scientific conservation techniques while maintaining the traditional building methods. Each year the town also hosts the World Sufi Spirit Festival. Thousands of candles light the paths, as the dulcet tones of Sufi music wafts through the night air. Between the 12th and 16th centuries, Nagaur was home to many Sufi saints who’s echoes can almost still be heard amidst the many tombs and mosques in the region. It’s this history and their presence, that makes Nagaur an exquisite venue to experience the magic of Sufism. The World Sufi Spirit Festival will be held from 13th to 15th February 2017. The next stop on my journeys is Rohet in the district of Pali, I look forward to sharing it with you.